In Skydive Tecumseh’s Accelerated Freefall in Michigan course, you start from the top and work your way down. 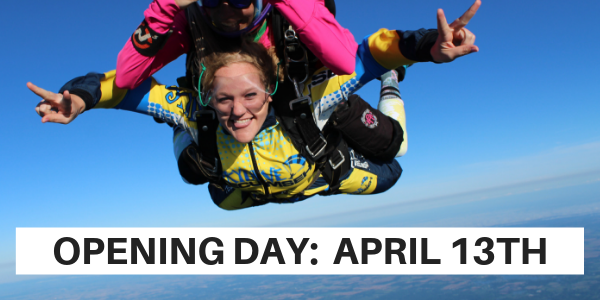 You’ll get to experience free fall from up to 14,000 feet and be able to fly your own parachute in for a landing in our wide open student landing area! 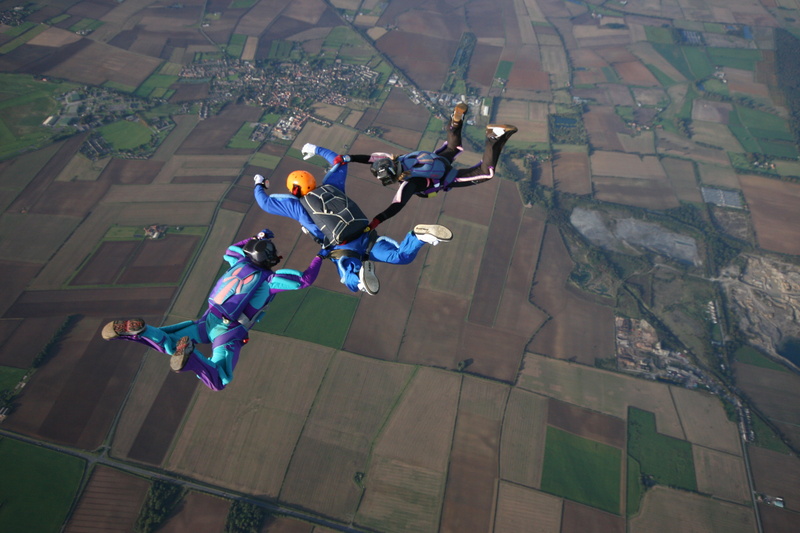 Accelerated Freefall is the most modern method of skydive training. It is called “accelerated” because the progression is the fastest way to experience solo freefall, normally from 10,000 to 14,000 feet AGL (above ground level). At approximately 5,500 feet, your instructors will release their grips on you as you deploy your own parachute. Once you deploy, the instructors will fly away and deploy their own canopies. From there you’ll take control of your toggles and steer yourself into our wide open student landing area, under radio guidance from an instructor on the ground. Once you’ve proven you can maintain altitude awareness, keep relatively stable, and deploy your own parachute on the first few jumps, you’ll work up to the basic flying skills required to skydive without assistance. Eventually you will be cleared to “solo status,” where you will be able to jump with coaches in addition to instructors.